Is summer your favorite season of the year? When the weather starts to cool down do you begin dreaming about the following spring? If this sounds like you, then why not bring summer into your home? Sadly, we don't have personal control over the local climate, but we do have control regarding our living space. Transforming it into a summer-inspired oasis can ease us through those cold winters. You can begin transforming the interior of your home at any time of year. However, make sure to have your color scheme well-planned before you begin buying new items. Sounds obvious, but it gets a lot harder when you see a piece of furniture or decor you MUST have. Doing so will ensure that your new design has a cohesive appearance. In order to select the color scheme, ask yourself what type of summer look you want. For instance, do you want to think of a waterfall in a tropical rainforest or are you more interested in a beach ambiance? Fortunately, the beaches of the world are diverse, which means that you could easily use a color scheme other than the basic nautical ones commonly in use today. For instance, you could opt for a deep turquoise that will resemble deeper waters. Orange and burnt orange complement the watery color well. Add a saltwater tank to the room to enhance the variation on the nautical theme. If you are using tropical areas for inspiration, your color choices should have more "pop" to them. For instance, bright yellow accents with a mellow aquamarine background to balance the intensity. 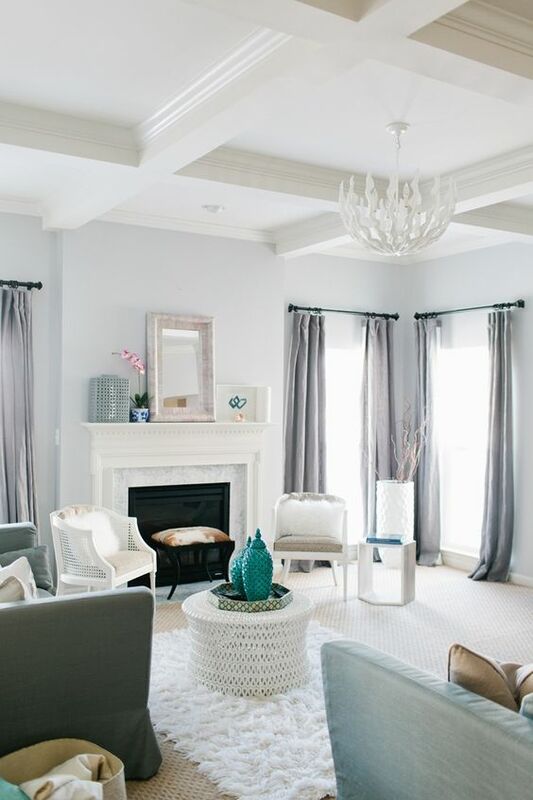 Whites and off-whites can be used to create a relaxing natural vibe in a room. The walls and furnishings should display various textures, including plenty of flat spaces, and use at least three different muted whites. You can then use this basic design to add other colors, such as sea foam green or turquoise. Alternatively, you can add a single bright color in a few strategic locations to break up the presentation. For instance, you might opt to use a couple of rich colored throw pillows on the couch like a purple and keep flowers of the same purple on your coffee table. Of course, the specifics will depend on your tastes and the room being decorated. Just remember, when it comes to bright colors, a little goes a long way. What color is more natural than green? From tiny flowers to an aged redwood tree, the abundance of greens found in nature is a wonder in itself. 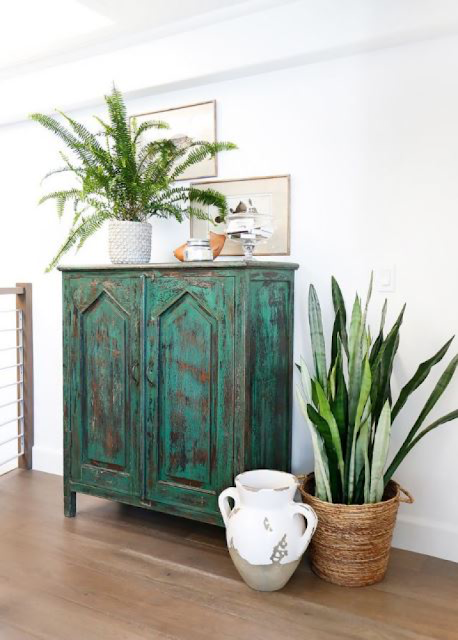 If you want to make your home feel like summer, use plants throughout your home. Unless you have the time and interest, you don't have to fill every empty spot with a plant. Whether you want a couple of small plants that require little care or several of them brightening up your home, make sure you understand the needs of the plant before you buy. Confirm that the location has the appropriate amount of sunlight for best health. Alternatively, you can buy fresh flowers regularly. Place them on the dinner table, the bar between your kitchen and dining area, or anywhere else that you find aesthetically pleasing. For those who associate summer with swimming pools, use a pool blue paint to update your kitchen, bathroom or bedroom. Accessorize with straw hats and other items associated with sitting poolside. Once you have established your colors, you will be well on your way to building your new interior endless summer. Find the right combination of textures and colors to provide visual appeal from every point of view. You will be ready to start entertaining guests in no time! Even better, it will feel like Summer never left and you’ll be able to enjoy the new summery theme.